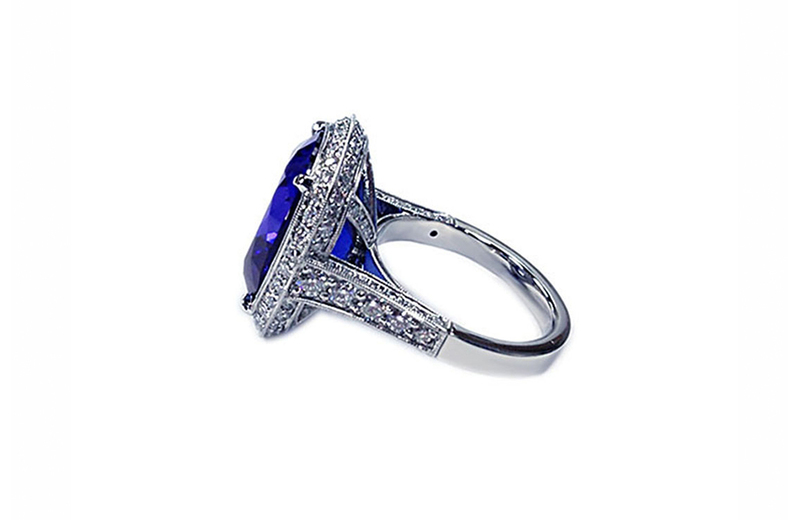 A cocktail ring inspired by the 1920s. 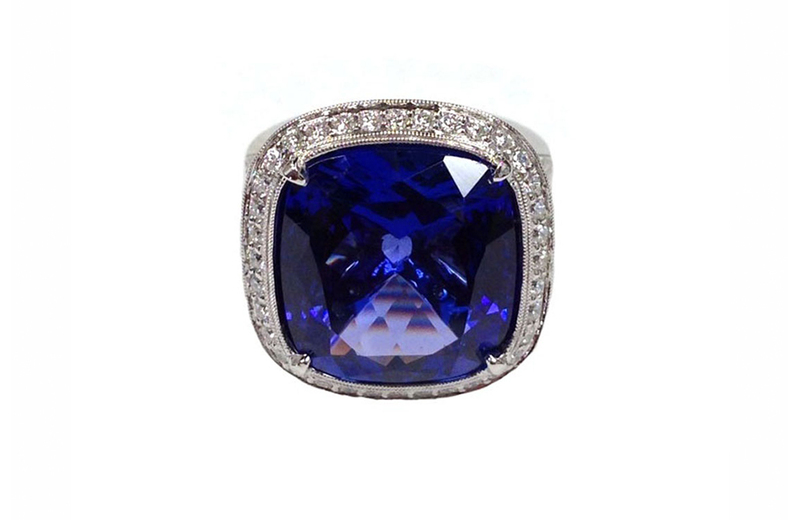 A gorgeous Sapphire center stone is set in a 18k white gold setting. Every angle of this stunner is covered in diamonds for maximum brilliance.